Using Porcelain crowns to reshape broken or damaged teeth are a popular and efficient way to do so. Porcelain crowns are made to look like natural teeth and do not leave behind any black line near the gums that can sometimes be seen when you use other traditional crowns. Porcelain crowns can be used in many different ways in the field of dental care. One is to align crowded or protruding teeth, close gaps between teeth and lighten tooth color. The appearance and strength of our porcelain crowns are similar to natural teeth, and when used, they create long-lasting changes to the patient’s smile. Porcelain crowns are used to restore badly broken teeth or to cover a single dark tooth inside your mouth, and it’s also part of a typical overall smile make-over. For our smile-rejuvenation process, we use only BruxZir Solid Zirconia. 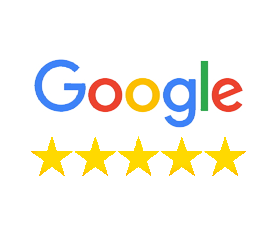 First, we start up with consultation; this is where we find out what the patient does not like about the appearance of their teeth, and what type of smile and adjustment they would like to have ideally. 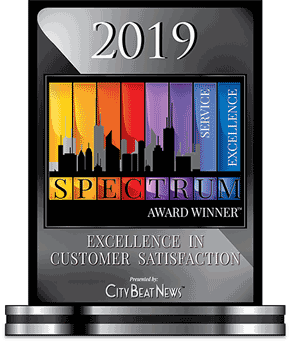 We use digital technology to design and prototype the patient’s smile improvement procedure and to fine-tune the desired tooth shapes and color to what the patient ideally wants. 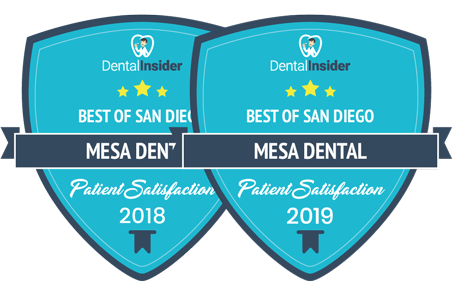 When the patient is ready to get started with the treatment that will bring his/her teeth to the desired appearance, our doctors will create a 3-dimensional preview model of your teeth. Then our ceramist will use a computer-aided design program to create a 3-D model of the smile, modeled from the preview so that it can be checked from different angles for aesthetics and function. The porcelain crowns are then fixed on the teeth following and already planned procedure which consists of two different treatment appointments. During the first appointment, the broken or segmented parts of your teeth are built-up and prepared for the application of the crowns. This process has to do with trimming back a thin layer from around the tooth to create room for the porcelain crown. Impressions are taken while temporary crowns are administered on the teeth using the template initially created from the 3-D model. This’s an opportunity for our patients to try the planned design in their mouth before the main porcelain crowns are fixed. Necessary changes or any fine adjustments can be made to the temporaries and then reproduced in the final crowns. These treatments are performed on your teeth using our pain-free anesthetic techniques. During the second appointment in our office, we finally fit the porcelain crowns. The crowns are applied to the teeth using a multi-layer bonding system that binds each crown individual tooth with unparalleled strength. Then, the crowns are polished and bite-checked, when done, the teeth are revealed to our patients to see his/her new appearance. Few days after the treatment, we still conduct a quick check-up appointment with to make sure all is well after they’ve had some time to use and take bites on their foods with the crowns on. During the check-up appointment, we make sure to take “after” photos for our patients to take home and reference to later. When patients want a new dental crown, many individuals want strong, esthetic restorations that appear natural in their mouth and don’t brittle and break. Full-cast gold crowns & bridges are strong, but one of their disadvantages is that they don’t look at all like your real teeth; porcelain metal restorations appear more like your real teeth, but they are prone to cracking and chipping. BruxZir Solid Zirconia is ideal for those who have broken their natural teeth or porcelain restorations through bruxing or grinding because it’s made nearly indestructible zirconia. When looking for the most natural-looking choice, BruxZir zirconia crowns are the best compared to full-cast gold and porcelain metal crowns. 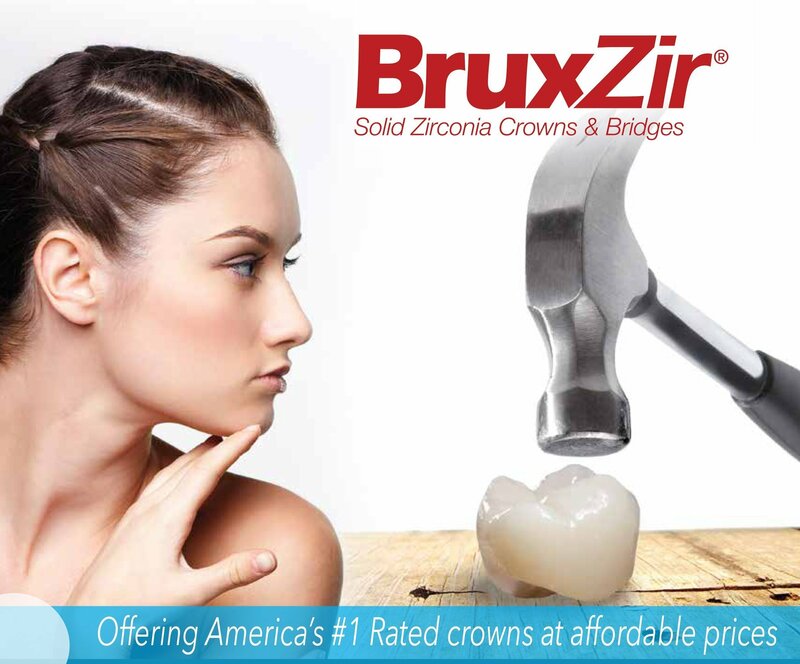 Utilizing only the best in dental crowns; the BruxZir® Solid Zirconia is the No.1 brand of full-contour zirconia in North America. It provides a strong, durable and cementable solution. The BruxZir restorations can be used in almost any clinical situation and are an esthetic alternative to cast gold and metal occlusal PFMs. It was designed and milled using CAD/CAM technology, BruxZir Solid Zirconia is sintered for 2.0 hours at 1,530 degrees Celsius to achieve its optimum strength. 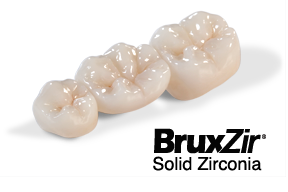 The BruxZir crown or bridge that comes out of this process is then glazed to a smooth surface. Our patients benefit resistance to chipping because it is made out of solid zirconia with no porcelain overlay unto a smooth surface to reduce plaque accumulation. Sit down and watch how it holds up to a hammer.